I have never seen such an immense number of bats. 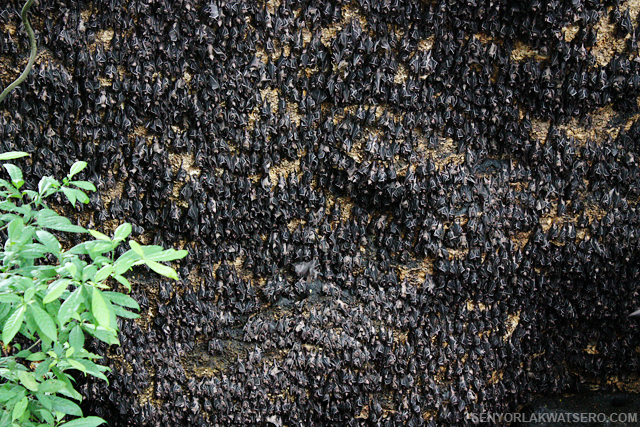 The 1000-foot long cave is overflowing with what looked like to be millions of fruit bats that are cramped very closely together hanging upside down, coating the large walls of the caves. There doesn’t seem to be enough space to accommodate all of them. Some are continously flying, probably looking for a space, while several others are seen clinging out in the open so close to the ground. The cave has five openings which allows the visitors to take a peek inside. These openings are surrounded by bamboo rails. Loud noises are strictly prohibited and visitors are not allowed to go inside the cave as these would elicit disturbance that may cause young bats to be dropped to their deaths. The fruit bats have been around Samal island for generations now, which used to dwell in the almost 70 other underground caves in the island. 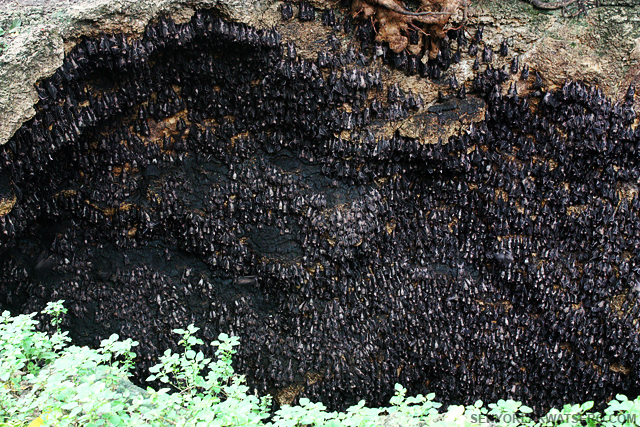 Farmers however, blaming the bats for devouring their crops, used to hunt and kill them which drove the bats to seek refuge inside the Monfort bat cave. The hunting only stopped when a scientist who visited the island explained that only these fruit bats can adequately pollinate the flowers of the trees, especially the durian trees in Davao province, making them produce more fruits. 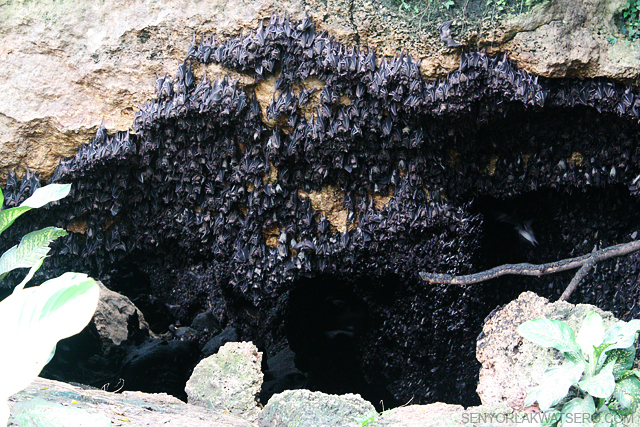 Currently, the number of bats nesting inside the Monfort Bat Cave is estimated to have reached more than 2 millions and is still rising significantly with the female bats almost continuously pregnant all year round. The sanctuary is being preserved and protected by the owner herself Norma Monfort with the support of the residents and the local government. How to Get There: At Magsaysay Park in Davao City, hop on the Island Express Bus going to Samal Island ask the driver/bus conductor to drop you off Babak District. 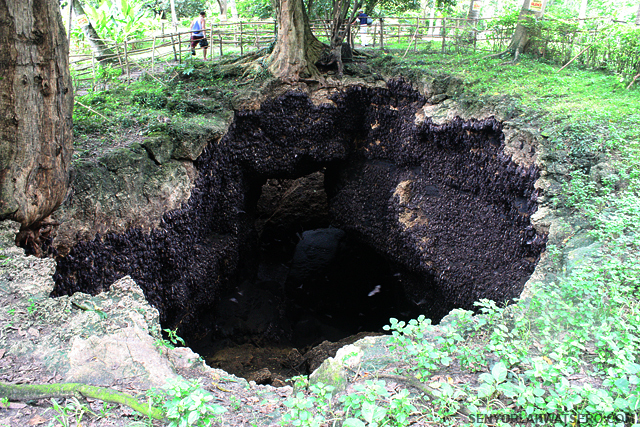 From Babak, look for a habal habal driver to take you to the Monfort Bat cave in Barangay Tambo. Gerum , i did not realize they’re bats . I watched this on tv. inggit ako nakapunta ka na dito… Thanks for sharing. i hope you’d get to visit the spot too, chichan. upclose, it’s an amazing site! WOW! 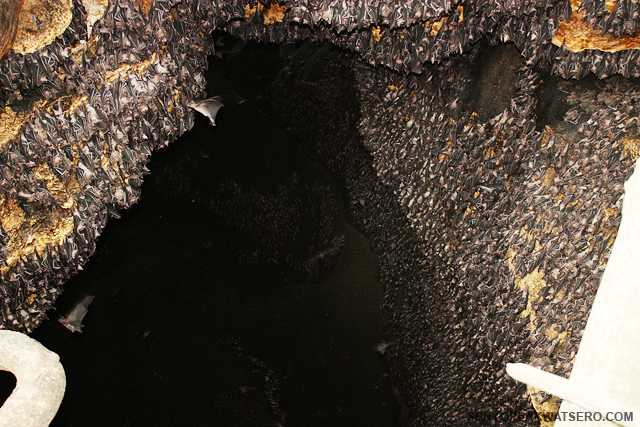 Unbelievable cave with million bats! Cringe! But wow, amazing bat village! Haha. Wow thats a big hole! If I were up close here..
I’ll get chills running up my spine. let’s all have an epic Halloween party inside that bat hole!!! wooohooo!! Gusto ko din to! Waa! Sana mapuntahan ko to soon! Gorgeous photos and thanks for the tip! Kailangan nasa ITI ko yan kapag mag-davao ako. This is one h*** of a place that I will surely want to visit. I’m glad I took time to scan the pages of your site. Thank you very much for sharing with us this extraordinary place, Gerum! 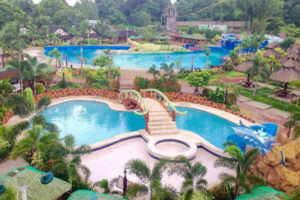 Thanks for all the info about Davao. I just wanted to say that you’re one of the best travel bloggers for me as the info you’re providing are very detailed and can really help someone like me who basically based my itinerary and trip planning on blogs. 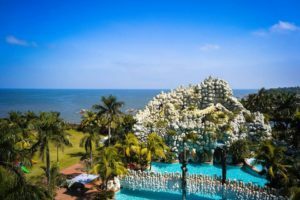 I’ve read your 6 or 7 blogs about Davao as I’m planning to go there for our 3rd wedding anniversary this coming December. It has been my goal to plan as early as June so that I can plan for the expenses too. 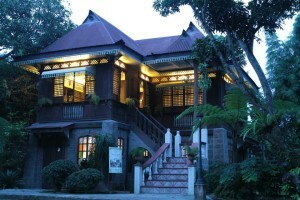 I am really thankful ’cause I think I got if not all at least most of all the details that i needed to know about Davao. Like you, i love travelling on a budget too and my ultimate dream is to go to Batanes by February 2013. It’s just too expensive but too majestic that I can even beg for my mom to just by me a ticket (as a Christmas present) that will fly me over to Batanes.